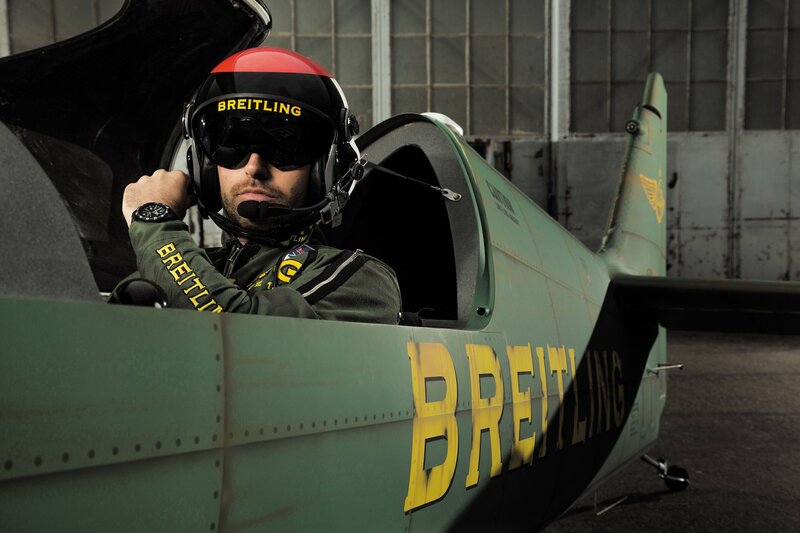 Just the other day we predicted Breitling would bring out a new special edition celebrating its hotshot new flying ace and Skyracer plane running the Red Bull Air Race. Sure enough, the Swiss brand has delivered the goods. 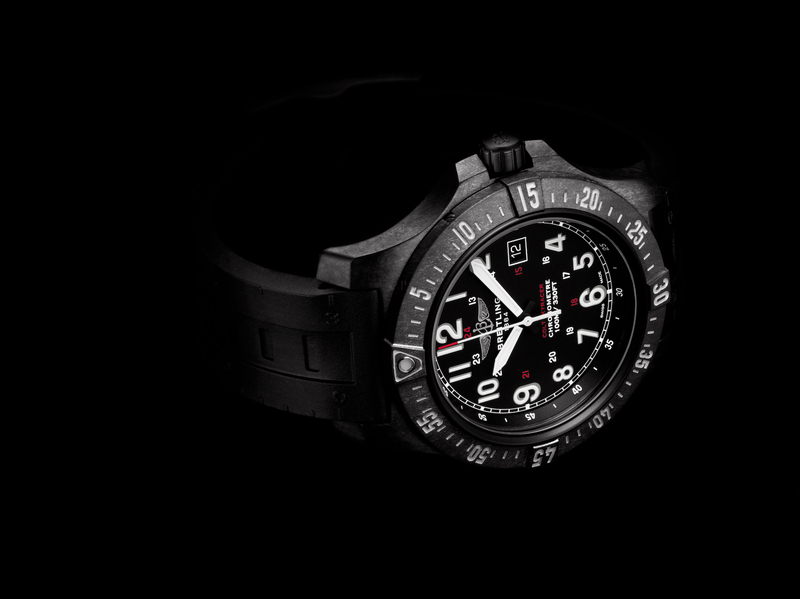 This is the new Breitling Colt Skyracer. A major update on the classic Breitling Colt featuring an “avant-garde” case in Breitlight®. This timepiece is 3.3 times lighter than titanium and 5.8 times lighter than steel but significantly harder, with exceptional resistance to scratches, traction, and corrosion as well as anti-magnetic properties. It’s in keeping with Breitling’s emphasis on tech. This watch also features the brand’s COSC-certified SuperQuartz movement that it’s been relying on so heavily of late. Especially for the plane running the Red Bull Air Race. SuperQuartz is ten times more accurate than a normal quartz movement. The 45mm Colt Skyracer, positioned as one of Breitling’s most affordable models, echoes aircraft instrumentation with white luminescent hands and indications on a black dial with red accents and a double glare-proofed sapphire crystal. It comes equipped with a rotating rider tab bezel for memorizing times and an additional 24-hour military-style scale on the dial, and is water-resistant to 100 m/330 ft. The watch’s exclusive black rubber strap features various measurement scales as well, including 1:25,000 and 1:50,000 scales on the 12 o’clock strap section, and centimeters and inches on the 6 o’clock section. An innovative removable fastening system enables the wearer to quickly and easily remove these sections to use their functions independently. Hopefully, this specially designed watch will help Mika reach his goals at the Red Bull Air Race. Omega meanwhile is also celebrating its sporting heritage with a new model, this one in honor of the one-year countdown to the PyeongChang 2018 Winter Olympics in South Korea, where the brand will mark its 28th year as the Official Timekeeper of the games. 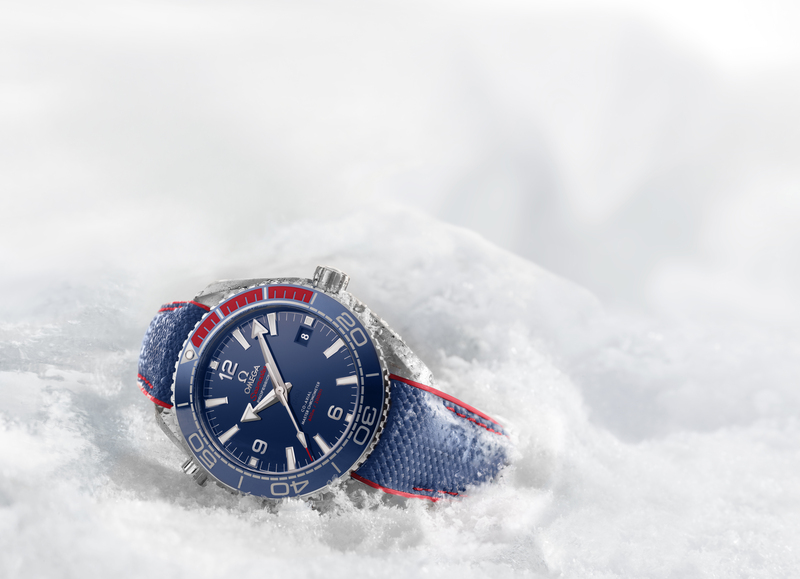 Dubbed the Seamaster Planet Ocean “PyeongChang 2018” Limited Edition. It will be produced in a run of 2,108 pieces and features the colors of the Korean flag. 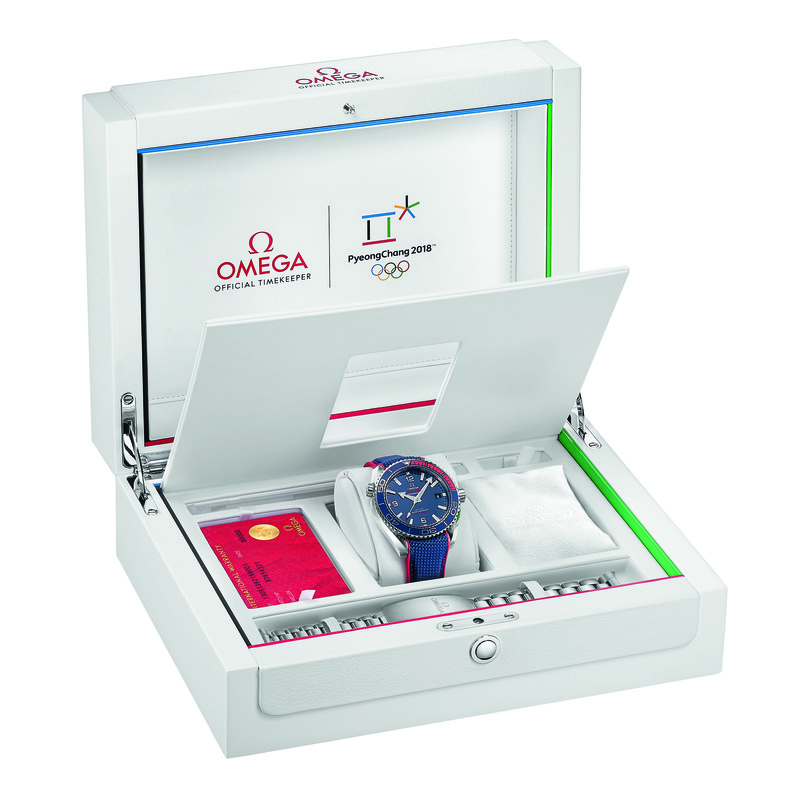 It also has a special engraving of the Olympic Winter Games logo on the sapphire crystal case back. Not as cool as Breitling’s Colt, perhaps, but every bit as rugged and bound to please Omega fans.